WellPoint Inc.'s third-quarter earnings fell 5 percent, but the nation's second-largest health insurer's results topped Wall Street expectations. 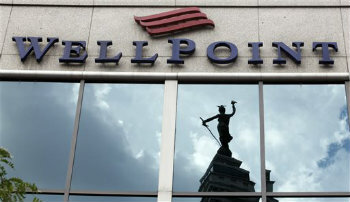 INDIANAPOLIS (AP) — WellPoint Inc.’s third-quarter earnings fell 5 percent, but the nation’s second-largest health insurer’s results topped Wall Street expectations. The company hiked its 2013 forecast, citing in part gains it expects from the health care overhaul.